This sweet little kitten is made of ultra-soft plush in varying shades of brown, black and cream. She has blue and black eyes, a pink stitched nose with airbrushed detail and ultrasuede paw pads. 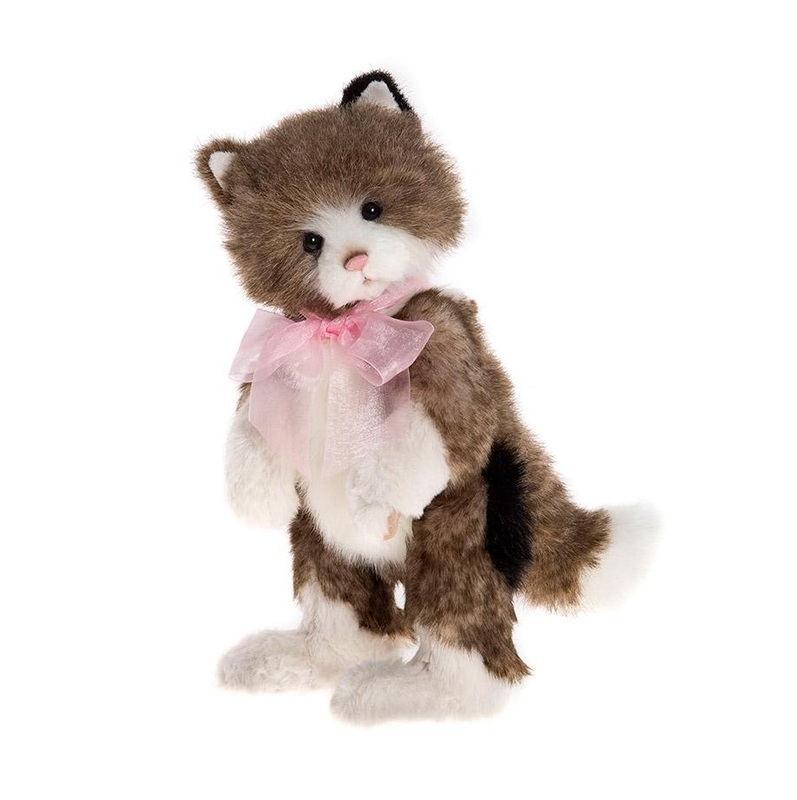 Fully jointed, Daphne can stand freely on her flat feet and wears a pink organza ribbon bow.